For many, vacations are an opportunity to drop the diet and have some fun. Unfortunately, the poor diet choices people make while on vacation carry on into their daily life, long after they get home. For beginners practicing the Keto Diet, vacation eating habits can kick people out of ketosis and put them back on the same way of eating that they’d worked so hard to overcome. But vacations don’t need to be stressful for dieters. With these three tips for beginners, you can be sure that you will stick with your Keto Diet plan while still having a fantastic vacation. Depending on where you are going on vacation, you may have a measure of control over what you will be eating. For Keto dieters who are staying at a hotel and will be traveling from tourist spot to tourist spot, check with your hotel and see what kind of meal options their restaurant offers or whether there’s a continental breakfast. There may be fewer Keto-friendly options to choose from, but you will likely be able to find something to enjoy. Also, when out traveling, be sure to stop at grocery stores and purchase some Keto-friendly snacks that travel well, such as cured meats or cheeses, which can help keep you from overindulging. If you are aware of what you’re eating throughout the day, you can better plan for indulgences. When traveling to a place that is known for their cuisine, enjoy eating while remaining balanced about your diet. Instead of getting a sweet all to yourself, maybe share it with whoever you are going. By sampling small portions of food, instead of overeating till you feel sick, you can enjoy your vacation food while still keeping your Keto Diet in mind. Alternatively, be sure to get as much exercise as possible (walk to destinations instead of taking a bus or driving), and the extra exertion will help use up any extra calories (or carbs) that you may eat. If you can, try to stay at a hotel or hostel that has a kitchen which guests are allowed to use. You can also elect to find home-share style lodgings, as people often rent out their homes during peak vacation times for tourists to use. Once you have a kitchen, you have control over what you purchase and what you eat. An added benefit of this style of travel, other than the fact that you can stick to your Keto Diet effectively, is that you get to experience the local side of life. Going to grocery stores, choosing from local ingredients, and cooking for yourself will help make you feel like you’re a part of the culture, instead of only a visitor. If you are staying at a resort where there are no kitchen facilities, don’t be afraid to ask the hotel if they can make accommodations for dietary restrictions. With buffet-style meals, there will often be Keto Diet-friendly food options to choose from, but if you are selecting from a set menu, don’t be afraid to ask for substitutions. Is the restaurant serving potatoes as a side? Why not ask for steamed vegetables or a green salad instead? Is a sweet dessert offered with your meal? Why not see if there is a cheese plate that you can choose from instead? 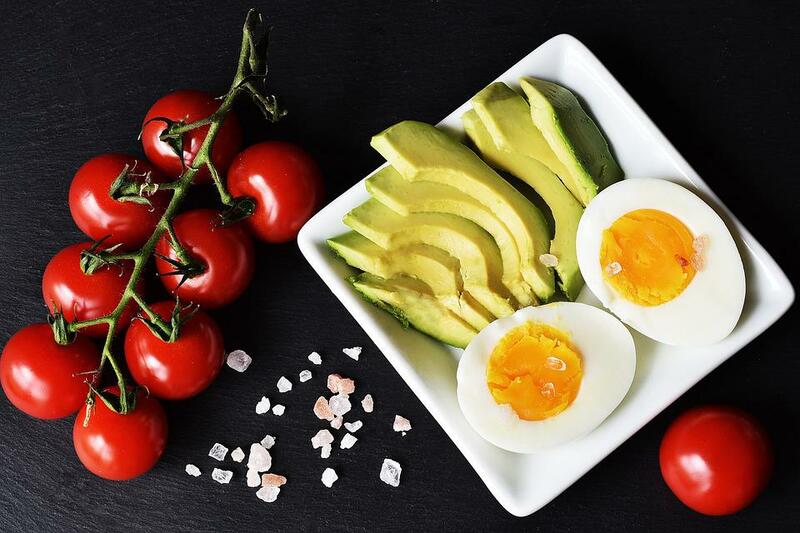 Sticking with the Keto Diet while on vacation can take some planning and a little creativity, but with some determination and forethought, you will be able to maintain your ketosis while enjoying your vacation. When practicing the Keto Diet, it’s important to know yourself and know your limitations. If you know that you will be tempted to eat poorly on vacation, you will need to do more planning than a person who can stick to their diet regardless of temptations. Also, it’s important to be kind to yourself. Keto Diet practitioners who overeat a little on vacation shouldn’t chastise themselves too harshly. Life is about balance, and the Keto Diet helps practitioners regain control over their eating habits, but it shouldn’t be an overbearing burden. As long as you can get back to your diet plan after vacation, and you don’t use your holiday as an excuse to go back to your old way of eating, eating outside of what your Keto Diet plan recommends doesn’t have to be a huge problem. It is important to remember, however, if you’ve been eating a low-carb diet for some time when you are no longer in ketosis, many people find that the issues they had before (often headaches, grogginess) will return. If your body is sensitive to sugar or is insulin-resistant already, you must be aware of how much sugar you are eating. You may need to skip the cake, or at least limit your intake of sweets and carb-heavy vegetables. Know your body and do what makes you feel best. If you don’t think you will be able to get back on the Keto Diet comfortably after having a “cheat day” or “cheat vacation,” then perhaps it might be best to continue eating a strictly Keto-friendly diet. Ultimately, it’s up to you to decide whether you wish to maintain your Keto Diet plan while on vacation. As with any diet plan, be sure to talk to your doctor or a licensed healthcare practitioner before making any significant lifestyle changes. The Keto Diet works best if you can maintain it. If your body is continually switching from converting carbs to glucose, instead of converting fat to ketones for energy (which is the process of ketosis, wherein the liver converts fat cells into energy), your weight loss will possibly stall. Consequently, you may find that some health benefits of eating a Keto-friendly diet begin to diminish. Find a healthy balance on your next vacation; with some planning, you can maintain your Keto Diet even when you are out of your routine.